SINGAPORE - There were scenes of frustration at the Myanmar Embassy on Saturday as thousands of Myanmar citizens who had queued to cast their votes for their country's general election were told to return another day. The election, which will take place on Nov 8, marks the first time that many Myanmar nationals can have a say over who governs their country. A long queue was seen outside the Myanmar Embassy at St Martin's Drive on Saturday, stretching all the way to Tanglin Road at 2.30pm. Some had started queueing since midnight, but were informed only at 11am on Saturday that the embassy is capping the number of people who can vote on Saturday to 3,000. Embassy officials gave out tokens, or small pieces of paper stamped with the Myanmar state seal, to the first 3,000 people in the queue. Only those with it are allowed to enter the embassy and vote on Saturday, upsetting those who had lined up but did not get the token. Later in the day, at 3.20pm, embassy officials, accompanied by auxiliary police officers, started giving out another 3,000 tokens for voting on Sunday. Mechanical engineer Soe Htet, 37, had stood in line with his wife and sister since 5am on Saturday. He and his sister had narrowly missed out on the first batch of 3,000 tokens - his wife was the last person in the queue to receive Saturday's token. Mr Soe and his sister, who received their tokens for Sunday at about 3.30pm on Saturday, decided to go home, while his wife continued to wait for her turn to vote. "This system is really not right," he said. "They should have announced the 3,000 quota at the very beginning so that they let everyone know about it." He added: "The embassy knows exactly how many Myanmar citizens are eligible to vote here, and they know their own capacity. They should have planned for this and announced it right at the beginning." About 20,000 Myanmar nationals had submitted requests for early voting, The Straits Times reported earlier. The Straits Times understands that while voting at the embassy is supposed to last till Sunday, plans are being made to extend it by another three days. Ms Wint Yi, 31, who had voted on Friday, went back on Saturday as a volunteer to help disburse information from the embassy to those in the queue. She said: "The 3,000 quota was decided because the embassy managed to process about 3,152 votes on Friday. They decided to cap it at that number, because the process inside the embassy is very slow. They are very short of staff." 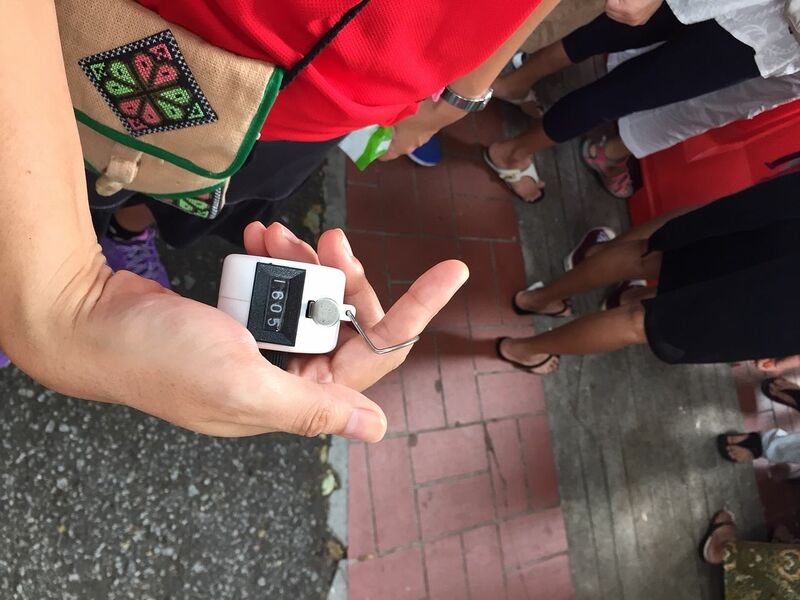 As of 2.30pm on Saturday, only 1,605 people had cast their votes, said another volunteer, who counted the number of voters exiting the embassy with a clicker. As of 4.30pm on Saturday, the queue had snaked from the embassy to Treetops Executive Residences at Orange Grove Road. Another volunteer, Ms Khin Lay, 48, said: "The embassy is only stopping the queue at 4.30pm. So they are obliged to provide tokens, even if they are for Monday or Tuesday, for the people who are still in the queue as of 4.30pm." But the new token system would also mean that those who are able to go to the embassy only on Sunday, such as workers on a Work Permit, would not have a chance of voting at all if they turn up on Sunday, she said. "That is still a problem. I'm still not sure what the embassy will do for them." The long queue finally broke up at 5pm, when volunteers went down the line to inform potential voters that all 3,000 tokens had been issued for voting on Sunday.